Adjustable Clutch Pedal Stop and Heavier Pedal Stop Retainer Now Utilized on ACF 195D, 205, and ACZZSD Chassis. Truck Model Starting Chassis Serial No. adjusted will remove excessive clutch pedal control linkage free play. 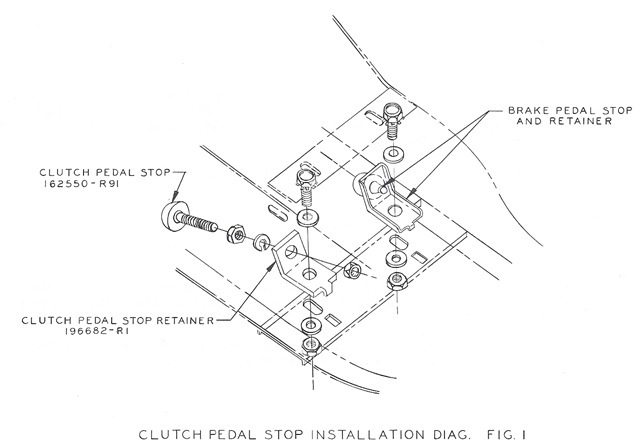 bending when the clutch pedal is released after application. retainer as installed on the vehicle. New Part N0. Description Replaced Part No. N0. Reg’d. It is our belief that every customer is entitled to and shall receive two distinct services . . . one from the product itself and the other from the organization back of it.